Sarawak, is located at the famous Borneo Island. The land transportation was used to be under-developed due to the fact that it is home to one of the oldest rainforests in the world. In recent years, express highway had been built to better link up the cities in East Malaysia. 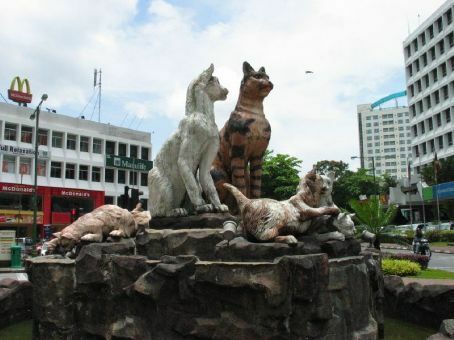 Kuching, the largest city in Borneo Island, is located at the north west of Borneo Island. Being the largest city in Borneo Island, the bus terminal at Kuching – Kuching Sentral serves not only the locals but also the tourists coming from all over the world for their adventurous tour in Borneo Island. Kuching Sentral being the largest, modernised, integrated bus terminal in Borneo Island, it is the home for most of the bus operators you can find in the market, like the famous brand of Bintang Jaya Express, Biaramas Express, Asia Star Express and others. 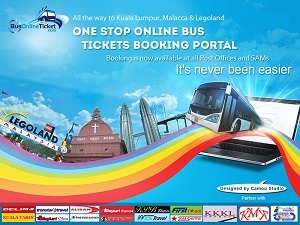 The most popular bus service in Kuching Sentral are Kuching to Sibu, Kuching to Bintulu, Kuching to Miri, Kuching to Pontiank and Kuching to Lundu. 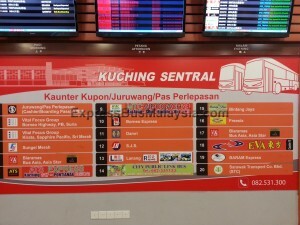 Please check Kuching Sentral Bus Terminal link below for bus operator, schedule and fare departing from Kuching Sentral.